Reiterating that the Chief Justice is the master of roster and none else, the full bench of Allahabad High Court in Dinesh Kumar Singh @ Sonu vs. State of UP, held that a single and division bench of the High Court assigned with a particular jurisdiction assigned by the Chief Justice, cannot overstep into the determination of another bench, assigned with another jurisdiction. In another case of criminal complaints being registered falsely under Section 376, a division bench of the Bombay High Court quashed a complaint registered against a man who was charged under Sections 376, 324,500, 504 and 506 by the police after his former partner who he had consensual relations with, accused him of cheating her by promising to marry and in the process establishing physical relations with her. The High Court granted interim relief to law students who sought protection against a possible cancellation of their provisional admissions. A division bench of the Court on Friday refused to order a CBI probe into the alleged sugar cooperative scam. The bench of Justice AS Oka and Justice AnujaPrabhudessai was hearing a PIL filed by Anna Hazare. In ShrirangPurushottam Deshmukh vs. Smt. RadhikaShrirang Deshmukh, the High Court held that while deciding the question of custody, the welfare of the minor child is of paramount consideration and it is not a relevant factor if the mother has married twice or is a divorcee, in deciding the entrustment of the child. A division bench of the High Court on Thursday asked the Maharashtra government some direct questions regarding the condition of prisons and what is to be done in order to set up a model prison in the state on the lines of those in developed countries. The Chhattisgarh High Court held that even if the copy of FIR has been forwarded to the Magistrate, a person seeking certified copy of FIR from the police authorities cannot be denied. The High Court directed the state government to reconsider its notification which exempts the State Administrative Service from the requirement of providing reservation to the persons with disabilities. The Delhi High Court restrained media content house Shemaroo Entertainment and one of its top officials from distributing, selling or broadcasting through any platform famous 1966 Hindi film TeesriKasam, starring Raj Kapoor and WaheedaRehman. The High Court in Medhavi Krishna v. University of Delhi and Ors., directed the Delhi University to grant admission to a differently-abled man, declaring the admission criteria adopted by the University as “unsustainable”. On Friday, the High Court left it open to the Industrial Tribunal to decide on former TERI Chief R.K. Pachauri’s petition against the internal complaints committee’s (ICC) findings on him in a sexual harassment case. In a long-standing feud between Payal Abdullah, the estranged wife of former J&K Chief Minister Omar Abdullah, and the Central government regarding the apparent illegal occupation of the government premises by her and her two sons despite repeated communications made to her to vacate the premise, the High Court settled it by dismissing her petition and upholding the decision of the single judge that came in August 2016. The division bench of Chief Justice G Rohini and Justice Sangita Dhingra Sehgal of the Delhi High Court asked the CBI to file its reply on an application which seeks directions to register cases against corrupt officials of the All India Institute of Medical Sciences (AIIMS) Delhi for their involvement in the alleged irregularities in purchase of certain items for surgery department and trauma centre. The Gujarat High Court directed the police to refrain from taking any ‘coercive steps’ against a 21-year-old man who eloped with a minor girl, but solemnised the marriage as per the ‘Sharia law’, which legitimises marriage of Muslim minor girls post puberty. The Karnataka High Court, in Dr. Mashmoom v. Mr. Sajid, recently held that ordinary residence as mentioned in Section 9 of the Guardianship and Adoption Act does not include the temporary residence of children. The Kerala High Court in Rev. Msgr Philip Njaralakkatt vs. State of Kerala,held that payment of building tax even without protest could not come in one’s way to raise a plea, at a later instance, against it being compelled to pay the same, claiming exemption. In a judgment delivered through Justice Devan Ramachandran, a division bench of the High Court upheld the levy of ‘luxury tax’ from hospitals as legally sustainable and intra vires the provisions of the Constitution. A stipulation in the UGC criteria, which allowed certain relaxation in marks to reserved categories, has been stuck down as unconstitutional by the High Court of Kerala. 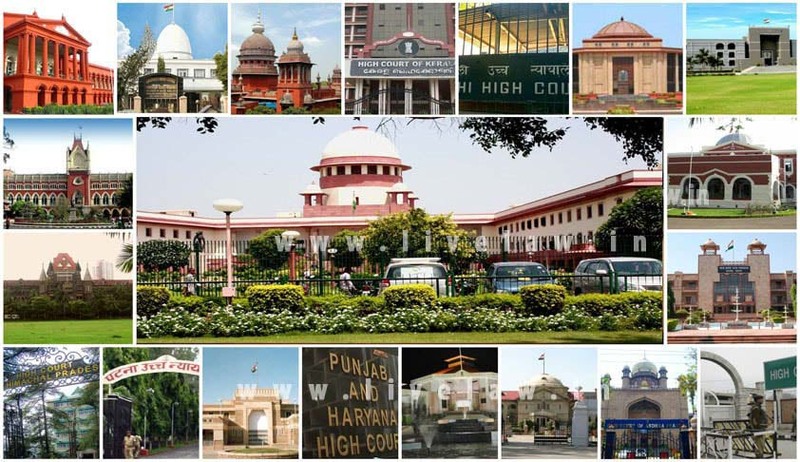 The Punjab & Haryana High Court, in Ravinder and another vs. State of Haryana and others, rejected a petition brought forward by two sportsmen Ravinder Kumar, an international player of kayaking, and Bijender Singh, a canoeing player from Sonepat district.